Save on your Home, Auto or Business Insurance. The Kimball Group is a Texas full service independent insurance agency that offers a full line of affordable personal insurance policies protecting our clients in Texas and Louisiana giving residents the peace of mind. Why choose The Kimball Group? TKG are licensed professionals with strong customer and community ties. TKG gives you excellent service and competitive prices because your agent can access the insurance coverage from more than one company. Unlike other agents, TKG is not beholden to any one company; thus, you don't need to change agencies as your insurance and service needs change. TKG can assists you when you have a claim. TKG is your consultant, working with you as you determine your needs. TKG offers you a choice of insurance plans and programs. TKG is a value hunter who looks after your pocketbook in finding the best combination of price, coverage and service. TKG can periodically review your coverage to keep up with your changing insurance needs. TKG treats you like a person, not just another number. Serving you is our most important concern. Get a Free Car Insurance Quote and Start Saving Today! If you are involved in an auto accident or your car is damaged or stolen, an auto policy from The Kimball Group Insurance Services can help simplify a difficult situation. You may be in the market for a new auto insurance plan or just shopping for a better deal, but The Kimball Group Insurance Services is here to help you through the process. 1. Property damage liability. This basically provides coverage for damage to someone else’s car as well as lamp posts, telephone poles, fences, buildings, and other structures your car may hit. 2. Bodily injury liability. If you cause an accident that results with the injury of another person(s), this coverage will protect you from medical and hospital costs. It will also protect your finances and assets from a lawsuit that is brought to you. 3. Collision. This covers the damage that is caused to your car from a collision with another vehicle. It is sometimes covers road hazards as well such as damage-causing potholes. 4. Comprehensive. This covers damage to your vehicle that is caused by something another than an accident with another vehicle such as hail, fire, vandalism, falling objects, etc. The Kimball Group Insurance Services will shop the top carriers in the country to find you an auto insurance policy that is affordable and reliable. Contact us today or fill out our quick and simple form to receive a quote on your auto insurance. If you would like to get “AN INSTANT AUTO QUOTE” Fill it out once and you will receive 3 or 4 quotes from top insurance carriers at the click of a button. Home Insurance is arguably one of the most important insurance policies you can purchase. Not only does it cover your property, but it also covers liability issues. Because of the wide scope of coverage provided by a homeowner’s policy, it is difficult to own a home without one. Under a homeowner’s policy, your property is protected against what is called events of “peril.” Such events can be fires, theft, vandalism, etc. The liability coverage in these policies generally covers legal responsibility for incidents that may occur on your property. Incidents are usually defined as any injury and/or property damage that may occur at your home. Usually the only exceptions to coverage on a homeowner’s policy are for floods, earthquakes, and damages due to poor maintenance. However, there are comprehensive supplemental policies that you can add to your homeowner’s policies to protect you from floods and earthquakes. A home is a huge investment of your time and money, make sure that it is adequately protected by an insurance agent that you can trust. Your home contains precious memories, don’t risk losing them. Contact us today or fill out our quick and simple form to receive a quote on your home insurance. If you would like to get “AN INSTANT AUTO QUOTE” Fill it out once and you will receive 3 or 4 quotes from top insurance carriers at the click of a button. Why Should You Have Renters’ Insurance? The answer is simple: you sleep better at night and feel better when you’re away.Often, renters don’t realize that the owner/landlord has insurance for the building, but what’s inside your walls is not covered unless you insure it yourself. 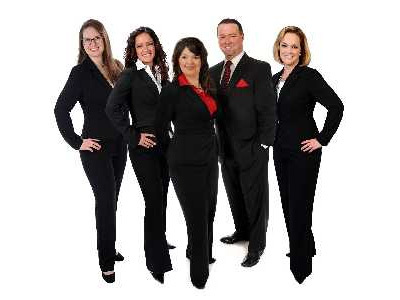 The experts at The Kimball Group Insurance Services are just a click away. Don’t wait another minute – get a free renters insurance quote today! Put The Kimball Group Insurance Services to work for you! Ask about our discounts and special programs. Many discounts are available on renters policies, especially for certain safety features such an interior and/or exterior sprinkler system. Want to learn more? Get a free renters insurance quote today! We’ll do the rest.